raja and rani: Let Them Eat Cake! There’s no escaping the wedding fever that’s hit London this week. Are you excited, fed up or just bored with it all? The wedding has given me one excuse though, (not that I need one!) 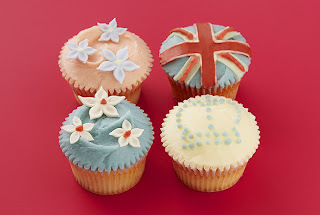 to check out one of my favourite bakeries in London – The Hummingbird Bakery. 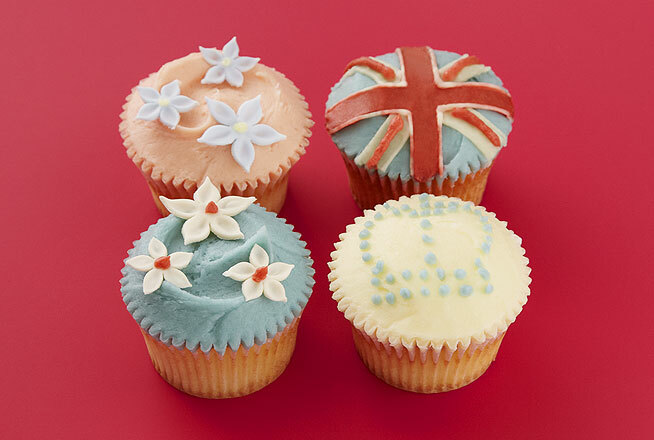 Celebrate the Royal Wedding with a selection of their famous hand decorated vanilla cupcakes from one of their bakeries in Notting Hill, Soho or South Kensington, available between 26th April - 1st May, all decorated in limited edition vintage inspired pastel hues, crowns, union jacks and flowers. Enjoy! 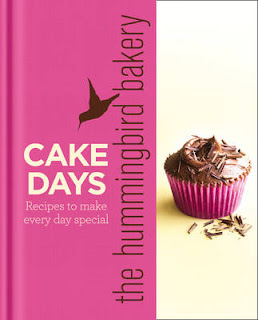 PS The Hummingbird Bakery has just released a follow up to their bestselling, hugely popular cookbook. With a wonderful new collection of easy and delicious cupcakes, layer cakes, pies and cookies, I know it will be on my shopping list just for the glorious photographs and fabulous new recipes. Red Velvet is still my favourite though…..what’s yours?